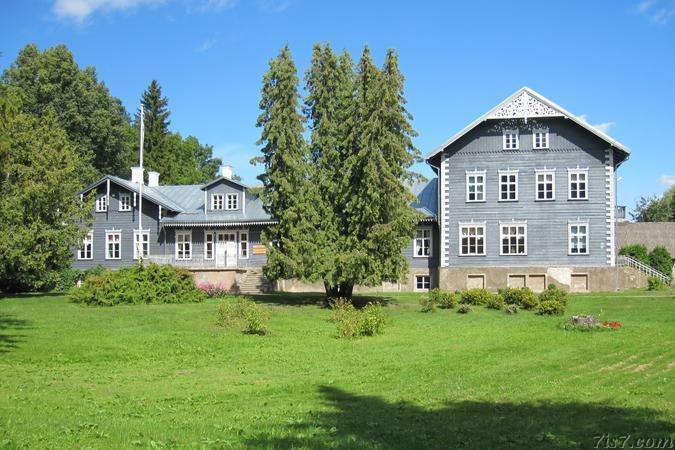 Pärsti manor is located a short distance north of Viljandi. According to the information panel and other sources, a manor has existed at this location from before the Livonian War. The main building is a wooden historicist style building, built in the years 1871-1872. Presently the manor serves as a school. 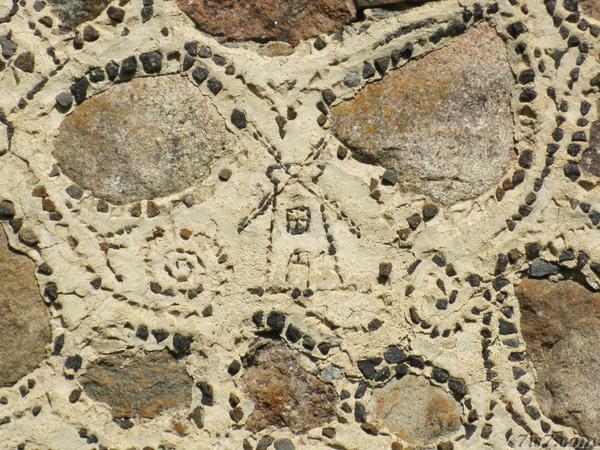 Decorations in the wall of a side building which served as the distillery depict things like windmills. 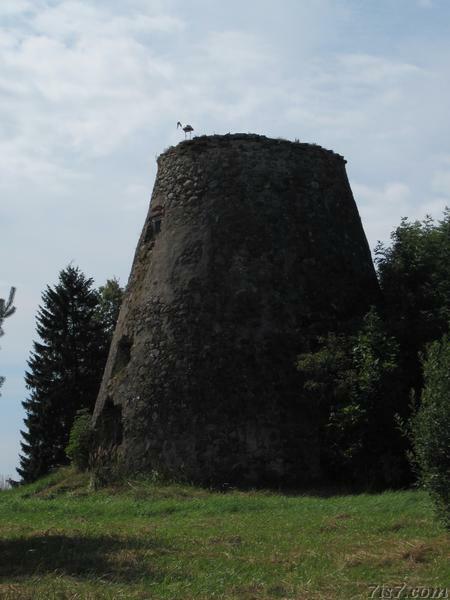 The day we visited a stork was standing on the manor's old windmill. Location: 58°25'19"N 25°31'59"E on: Google Maps, OpenStreetMap, Maa Amet.